Building 1 - 12,836 sq. ft.
Building 2 - 12,836 sq. ft.
Building 3 - 20,964 sq. ft.
Building 4 - 20,964 sq. ft.
Building 5 - 12,836 sq. ft. 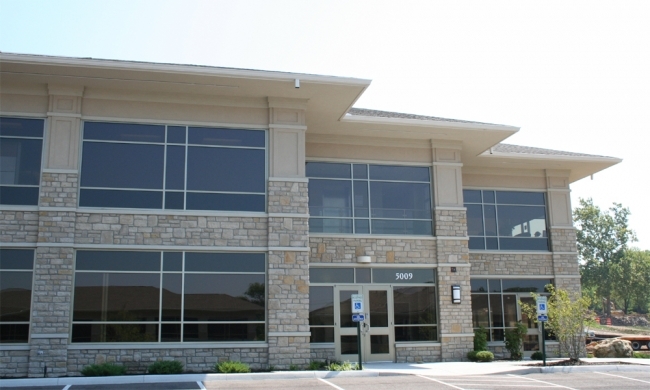 The Arlington Falls Office Park is a 5 building office complex located on the prominent corner of Riverside Drive and Henderson Road in Upper Arlington. The buildings were designed with the focal point being the gorgeous view overlooking the Scioto River on one side of the site and a high profile neighborhood on the other. The two story office buildings incorporate 8’ -0” high bronze tinted low-e glazed windows to maximize the views and the offset plan provides a maximum number of offices with windows. Each building features a two story Lobby entrance, open space with clear tempered glass surounding the open stairs which wraps around an interior elevator.